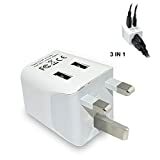 The electrical receptacles used in Malaysia are type G. You will therefore need a US to type G adapter in order to plug in your appliances. 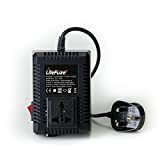 Special considerations - The official mains power voltage is AC 230 V with the tolerance of +10%,-6%.However, the supplied voltage remains at 240 V (except Penang at 230 V), as the supplied voltage is within the allowed tolerance. Type C plugs are very common with audio/video equipment. Plugged into Type G outlets using widely-available adapters or forced in by pushing down the shutter. The latter is widely practiced, although hazardous.